Why Art Matters To You? NAMTA Members, you can list a job on this page by filling out this form. American Tombow is seeking an experienced, highly motivated Director of Sales to join our team. This candidate would be experienced in the craft and creative industries with proven success to drive business. The Director of Sales would be responsible for resellers across a variety of channels to include; craft, fine art, office, mass and e-commerce.The Director of Sales would have the leadership skills needed to manage, coach, and develop a team that includes 5 direct account managers and outside sales representatives. The right candidate would have a strong pulse on the market with the experience to lead the strategic and tactical business development that drive and increase sales volume. About Us: Tombow is today's market leader for art, crafts and office products, serving consumers and businesses around the globe. Tombow was established in Japan in 1913 as a wood-case pencil manufacturer and has grown the company's portfolio to a worldwide provider of art markers, liquid glue and adhesive tape, fine writing pens, correction tape, drawing pencils, colored pencils and erasers manufactured in facilities located in Japan and Southeast Asia. American Tombow, Inc. is a wholly owned subsidiary of Tombow Pen & Pencil Co., Ltd in Tokyo, Japan and is the exclusive distributor for Tombow branded products throughout North and South America. Is Your Company Hiring Creatives? 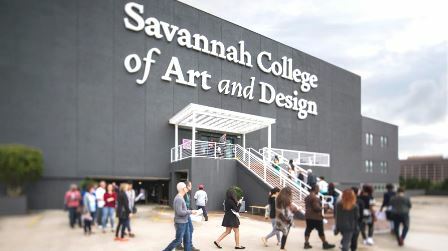 The Savannah College of Art & Design (SCAD) offers more than 40 preeminent degree programs designed to prepare students to excel in creative careers. Opportunities exist for you to recruit global SCAD talent on campus - virtually, or in your market. For more information, email [email protected].